When I first read A Brief History of Time (the non-illustrated version), my head spinned. I literally got a headache after reading the first couple of pages, which took what seemed like an hour. I was writing pages and pages of notes, one page for every page of text. Without a doubt it remains the hardest book I've ever read. So when I saw the illustrated version I bought it and got to look at the pretty pictures that explained most of my questions away. 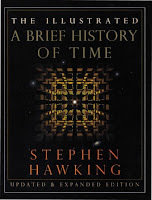 I absolutely recommend it for anyone who is interested in physics, or anyone who wants to say they've read Stephen Hawking without having to slog through pages of text. String theory is as complicated as Stephen Hawking's work, but made even harder because its hard to understand string theory without the math. In any case, Greene makes it interesting and not too boring.